• Lodgepole pine and white spruce cones are sourced from local forests, suited to harvest site growing conditions. Cones are dried, the seed is stratified and grown in Alberta and Saskatchewan tree nurseries. • All of the trees we plant are 100% natural and native to the forests where they are planted. • No chemicals, herbicides or pesticides are used in the forest. • During the harvest process, tree tops are retained on site for nutrient cycling. Scarification (mechanical raking) creates favorable seed beds for natural regeneration and ideal planting spots for planted seedlings. • Seedling microsites, provide added moisture and shade as well as wind and frost protection. • Native herbaceous plants, hardwoods and shrubs also benefit from scarification increasing harvest area biodiversity. • Scarification also has added benefits of breaking down fuel continuity enhancing fire prevention and control efforts. • Every June, when soil temperatures and soil moisture are favorable, trees are planted by hand in microsites, to promote reforestation success. • Each year, we plant approximately 2 million trees! • Internal company, three year surveys are completed after site preparation to ensure harvest areas are stocked with trees. • The survey information is used to determine if additional scarification or tree planting is required. • Establishment surveys are legislated requirements detailed in the Timber Management Regulation. • The surveys must be done between 4 to 8 years after harvest. • Reforested areas must achieve both a specified stocking level and a minimum level of growth performance. • Performance surveys are also legislated requirements detailed in the Timber Management Regulation. • The surveys must be done between 8 to 14 years after harvest. • The same information as an Establishment Survey is collected; however, coniferous trees must meet the Free-to-Grow criteria. • A tree is considered Free-to-Grow when it is located at least 2m from any deciduous competitor tree/shrub. 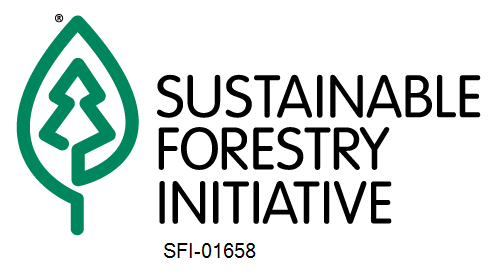 To learn more about our reforestation program performance, please review our 5 Year Stewardship Report, section 16 page 53 at: https://www.spraylakesawmills.com/wp-content/uploads/2013/05/5-year-Stewardship-Report.pdf. If you have questions, comments or concerns. Please fill out the contact form below.